To inspire their work on Kava, Robin and Stephen traveled to Venice and went on a coffee crawl, wondering why Italian coffee shops have a certain spark that American versions often lack. They saw flipped-up collars and Loro Piana blazers. They heard the roar of Ferraris and the sensual score of ‘La Dolce Vita’. In the end, though, it was the interior of a Chris-Craft boat that struck their fancy, with its shiny wood and “crazy beautiful dashboard”. 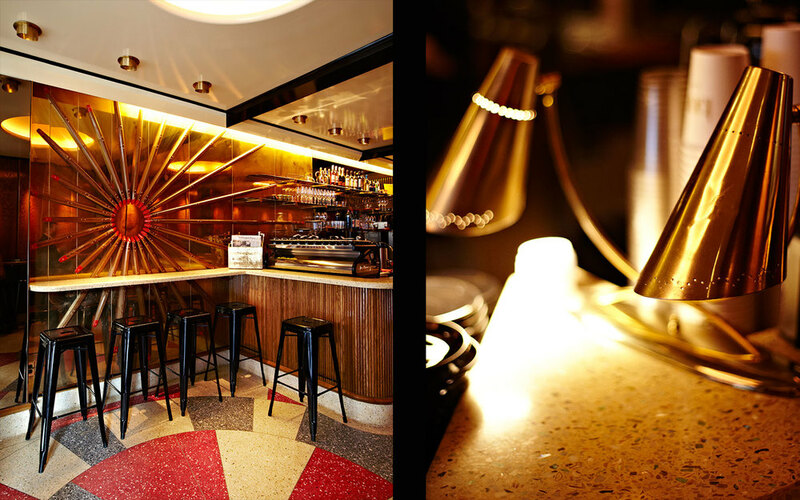 Making a space that felt like the well-made interior of a boat was the inspiration for Kava's interior. Situated on Washington Street in Manhattan's Meatpacking District, the wafting scent of espresso and gleaming decor of Kava Cafe invites passerby inside. The Venetian surroundings inspired the auras and starbursts found throughout Kava, from the oak burst on the walls, dotted with exposed screws, to the spiraling pattern of the brightly colored terrazzo floor. 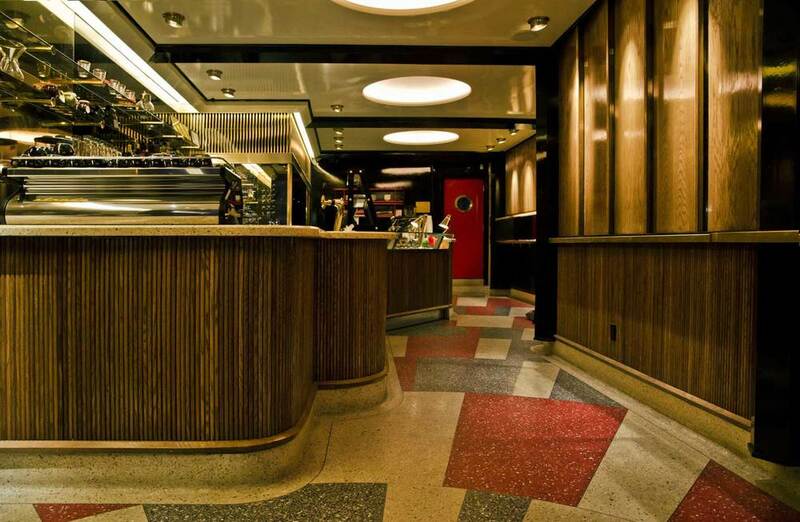 The auras brought out a Catholic motif, inspiring Roman and Williams to create a space devoted to the religion of coffee. Coupled with the magic that Venice brings to coffee, along with the iconic Ferraris, Kava brings that authentic swagger to New York.